Home Celebrities Bobrisky shows off real breast in new photos. Bobrisky shows off real breast in new photos. Some curios Nigerians have been pondering how Bobrisky developed serious figure 8 shape and curves in a short time. 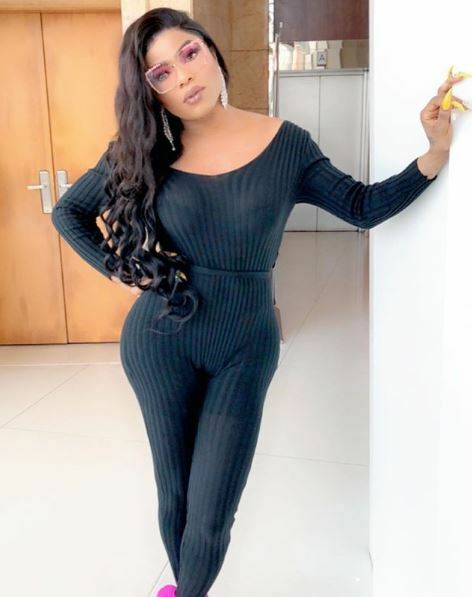 The Nigerian cross dresser who is known to have bare chest in the past, showed off what appeared to be real breasts Rocking a black figure-hugging dress in a photo shared on his IG page. He confirmed It was real breasts after replying a follower on IG.